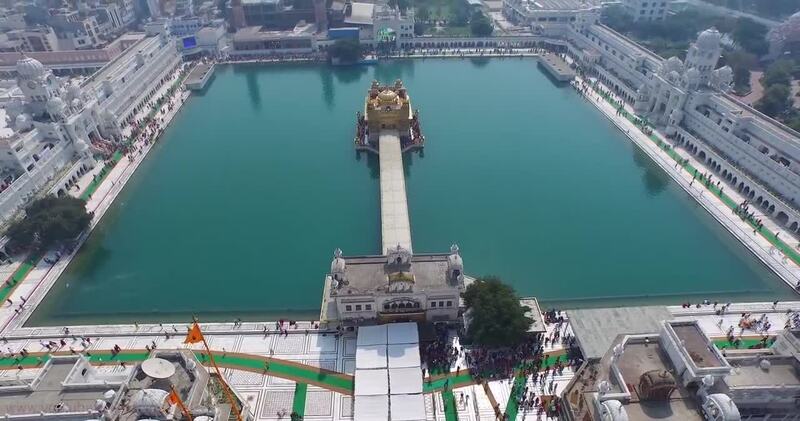 Contributor Harry713 created this stunning drone video of the Golden Temple, one of the most sacred places in the Sikh religion. It's in the city of Amritsar, in the Punjab region of northwestern India. The temple was built in the 16th century and suffered significant damage over the years from those hostile to the Sikh religion. Sikhism is a monotheistic creed which originated in the Punjab region in the 15th century and is the world's fifth largest religion by followers.